Managing symptoms of COPD is difficult enough, but emotional and mental challenges can also arise. Often, people aren’t just coping with one chronic condition, but several, and it can have a negative impact on the mental health of patients and their caregivers. 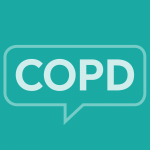 We conducted a large survey of people living with chronic health conditions, such as COPD and asked many questions to understand the mental health challenges that result from living with one or more physical conditions and how they’re recognized and managed. As if COPD wasn’t difficult enough to manage and live with, most people also have to cope with a myriad of mental health-related symptoms. People have experienced an average of 12 mental health symptoms, with many (almost 40%) having to deal with these symptoms on a daily basis.